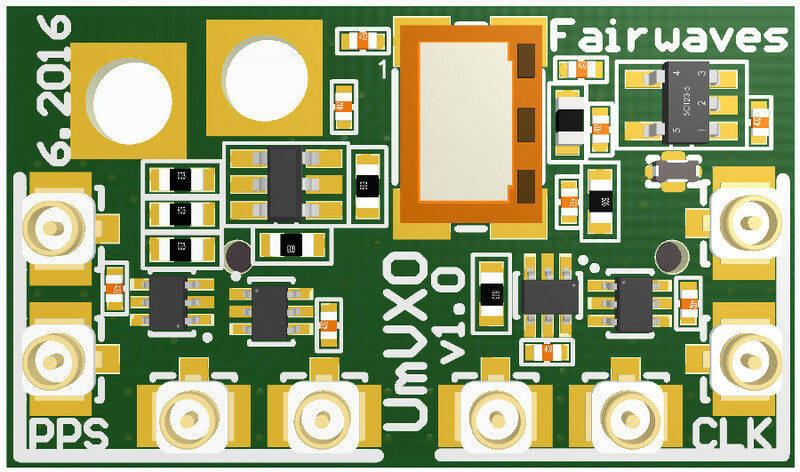 UmVXO is a daughterboard for UmTRX SDR transceivers which allows you to change its reference clock, without soldering and with almost no impact on the UmTRX overall dimensions. UmVXO features high quality temperature-compensated voltage-controlled crystal oscillator (TCVCXO) with the same parameters as the onboard UmTRX TCVCXO, but with a different frequency. You can also synchronize clock and 1PPS signals of up to 4 UmTRXs with the single UmVXO to achieve up to 8×8 MIMO.